Bing Ads has introduced Recurring Insertion Orders in order to streamline the IO process. The latest update to Bing Ads will help ensure campaigns keep running for advertisers making use of insertion order billing. 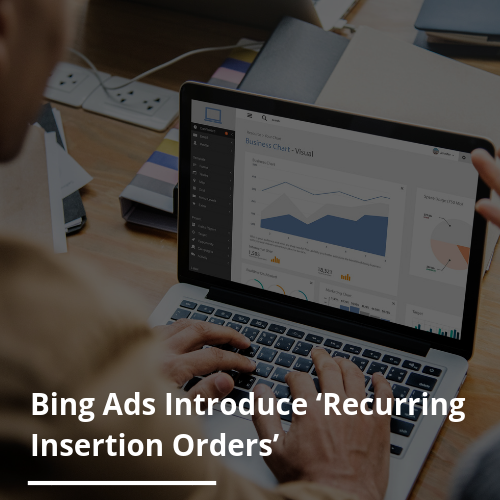 The new Bing Ads recurring insertion orders update means advertisers are able to create a series of insertion orders that automatically renew based on the set frequency. Accounts & Billing Page → Select Insertion Orders Tab → Name Your Recurring Insertion Order Series → Schedule Recurring IO’s. Ultimately, this new update is designed to make it easier for advertisers to use the IO Billing process as it removes the need to regularly make updates.